D&V’s RGBSP Battery Simulator builds on our 20 year history of developing power supplies. 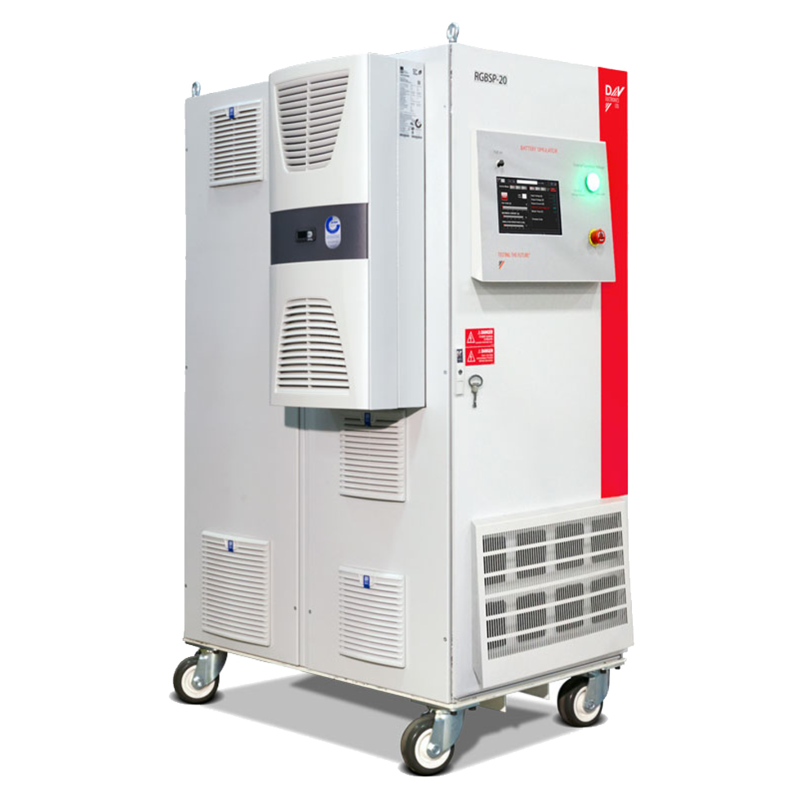 Available in 200kW rated modules, these units can be combined to double, triple or even quadruple the rated power capacity. Thank you for your interest in the Power Supplies. Please fill out the form below so we can send you the brochure. Thank you for your interest in the Power Supplies. Your request has been submitted to our sales department, and we will get back to you soon. The RGBSP units operate at nominal output range of 48 to 1000 VDC. They include a variety of protection and control features, such as emergency stop, self-diagnostic monitoring and fault protections. The RGBSP units are suitable for use with test cell controller systems and can be controlled and monitored by multiple communications protocols. Multiple levels of software and hardware safeguards in the RGBSP provide shutdown sequencing and power switching capabilities that will protect the RGBSP as well as downstream devices. The RGBSP design is such that it provides enhanced short circuit protection, galvanic isolation and a degree of harmonics mitigation.